Adolf Hitler’s “Mein Kampf” will be printed in Germany for the first time in over half a century. The Institute of Contemporary History in Munich plans to print an annotated version of the manifesto, which will hit shelves between Jan. 8 and Jan. 11, the Guardian reported Wednesday. The copyright on the Nazi dictator’s book expires at the start of the new year, and the looming deadline has sparked a fierce debate in Germany over whether it should be republished. For decades, authorities in Germany have been hesitant to republish the book out of respect for the victims killed by Nazis during World War II. Particularly in Bavaria, the province that holds the copyright, officials have restricted access to the book to prevent inciting interest in Hitler’s hateful ideas. 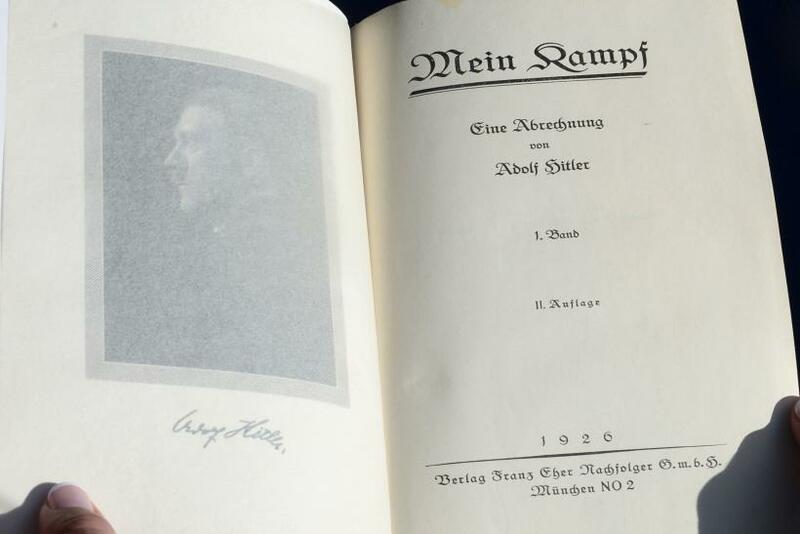 As the copyright nears expiration, the debate over “Mein Kampf” has heated up, with many, including some Jewish groups, saying the book is dangerous and should not be published again. "It paved the way for the Holocaust. Of course it is in the interest of right-wing militants and Islamists to spread these ideas," Knobloch added. But the historians who want to republish the text say they have good intentions. Andreas Wirsching, the director of the Institute of Contemporary History, told the Guardian he hopes the 3,500 annotations will help “shatter the myth” surrounding the book. “Mein Kampf” is partly autobiographical, but it also outlines Hitler’s ideology that formed the basis for Nazism. After he wrote the manifesto in 1924, while in jail after a failed coup, more than 12.4 million copies were sold until 1945, AFP reported. When the new edition goes on sale in January, it will be published in two volumes totaling 1,948 pages, and will be sold for €59 ($62). It will be limited to 3,500 to 4,000 copies.